Coby Kozlowski, MA, faculty member for the Kripalu School of Yoga, has been featured on the cover of Yoga Journal and Mantra Yoga + Health, and was named one of the seven yoga teachers who have changed the practice of yoga. Her vibrant style as a life coach trainer; yoga and meditation educator; inspirational speaker; and transformative leadership expert is infused with intelligence and heartfelt humor. 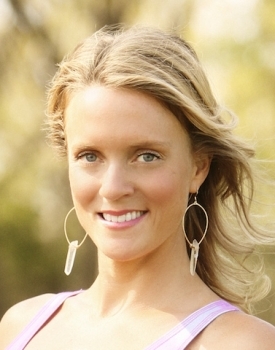 Coby is the founder of Karma Yoga Leadership Intensive: A One Degree Revolution (check out her Tedx talk One Degree Revolution: Small Shifts, Big Changes), the evolutionary program Quarter-Life Calling: Creating an Extraordinary Life in Your 20s, Souluna Life Coach Certification, and Sacred Lasya Yoga Teacher Training. She is a trainer for the Radiance Sutras Meditation Teacher Training and is faculty for Esalen Institute in Big Sur, CA, where she leads her month-long program The Art of Skillful Living: Leadership, Love and Freedom.